Born: November 16, 1817 in Sandwich Ma. 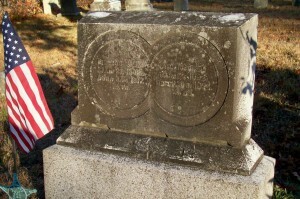 Died: January 27, 1892 in Bourne Ma. at 74 yrs, 2 mos, 11 d.
1. Phineas Gibbs, Jr.; (June 24, 1844 – March 24, 1908); Married Emma Corey Crowell (1849 – 1927) (Ezra Freeman Crowell & Sylvia Allen Sherman) in Waltham Ma. 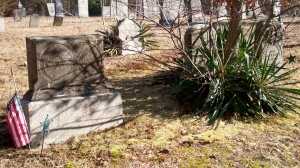 on January 6, 1874; They had 4 children; Phineas & Emma are buried in Cataumet Cemetery. 2. Josephine M. Gibbs Clement; (Abt.1843 – October 5, 1878); Married William Henry Clement, Capt. (1844 – 1924) (Isaac Clement & Achsah/Excy Hall) in Sandwich Ma. on January 25, 1863; They had 6 children; William married (2) Clara Bell Swift (1862 – 1944) (Benjamin E. Swift & Melora Ann Linnell) in Sandwich Ma. on February 8, 1884; They had 4 children; Josephine & her son, Rodolph, are buried in Pocasset Cemetery; William & Clara are in Cataumet Cemetery. 3. Thomas McAllister Gibbs, Civil War; (January 3, 1848 – July 4, 1865); Thomas died at 17 yrs, 6 mos, 1 d; “Died in hospital near Alexandria Va.”. ; He is buried in Pocasset Cemetery. 4. Anfinet/Nellie Walton Gibbs Wright; (August 22, 1850 – October 31, 1939); Married Augustus Weston Wright (1847 – 1921) (Zaddock W. Wright & Keziah Davis (Avery)) in Sandwich Ma. on May 9, 1869; They had 6 children; Anfinet/Nellie & Augustus are buried in Pocasset Cemetery. 5. Jarvis Cushman Gibbs; (March 6, 1855 – February 16, 1935); Married Nellie Maria Fish (1860 – 1944) (Japheth Turner Fish & Mary Phinney Ewer) in Sandwich Ma. on March 1, 1879; They had 6 children; Jarvis & Nellie are buried in Pocasset Cemetery.